In India, divorce is granted according to different personal laws of different communities like Hindu, Christian, Moslem and Parsees. Divorce lawyers in Chandigarh will help you file cases in court. Cruelty as a ground for divorce is common to all these laws. Cruelty is one of the 13 grounds for dissolution of a Hindu marriage as per section 13 of the Hindu Marriage Act. It is one of the 12 grounds on which divorce is granted by special Marriage Act of 1954. Cruelty is one of the 8 grounds under which a woman married under Muslim law is entitled to dissolution of her marriage. It is one of the 11 grounds of divorce under the Parsi marriage and Divorce Act, 1936 and 7 grounds of dissolution for Christians under the Indian divorce Act, 1869. But none of these acts specify what is meant by ‘cruelty’. The concept, idea and meaning of cruelty differ from place to place, individual to individual and time to time. It is not the same for persons belonging to different classes and status. This is why the judiciary has left the concept to be defined by the judiciary on case by case basis, from individual to individual and circumstance. An advocate for divorce will build up your case. Many judges in several judgments have given their verdict on what amounts to cruelty but these definitions are not general in nature but dependant on the cases. The question of cruelty is to be decided on the basis of total circumstances by courts. Divorce procedure in Chandigarh works this way. In order to term conduct as cruel, it should be so grave and serious that it become impossible for the spouses to remain together. 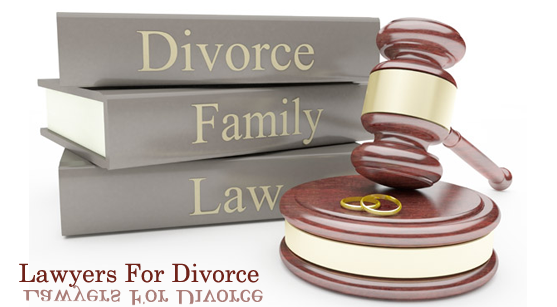 Take the help of lawyers for divorce to identify and spell out the cruelty. In India, 95% of marriages qualifying for divorce are due to cruelty in the form of physical violence. Cases of mental cruelty are also rising. Many cases of mental cruelty arise from a spouse saying something cruel or refraining from doing something. A good divorce lawyer will help define what amounts to cruelty. • Neglecting his needs especially when he is ill.
• Denying her medical care when ill. In order to judge whether a particular action or habit is cruel is to ascertain its impact. Divorce procedure in Chandigarh helps grant of divorces on the basis of both physical and mental cruelty.